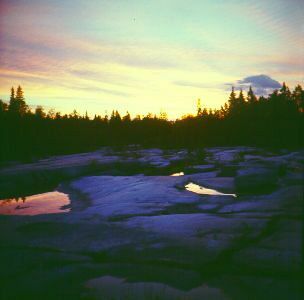 There are some sites with lot of rock carvings, situated near the White Sea, not far from Belomorsk (Sorokka) at the mouth of the River Vyg. The biggest one is called Old-Zalavruga. You see the summer midnight over this site. 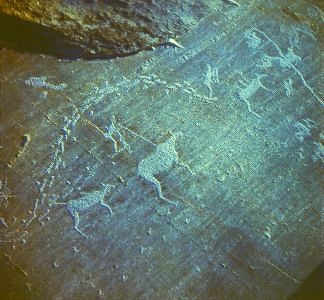 White Sea rock art contains plenty of marine thematic and numerous carvings are enclosed to dynamic compositions in which the sequence of time is performed by footprints, ski tracks and other traces.